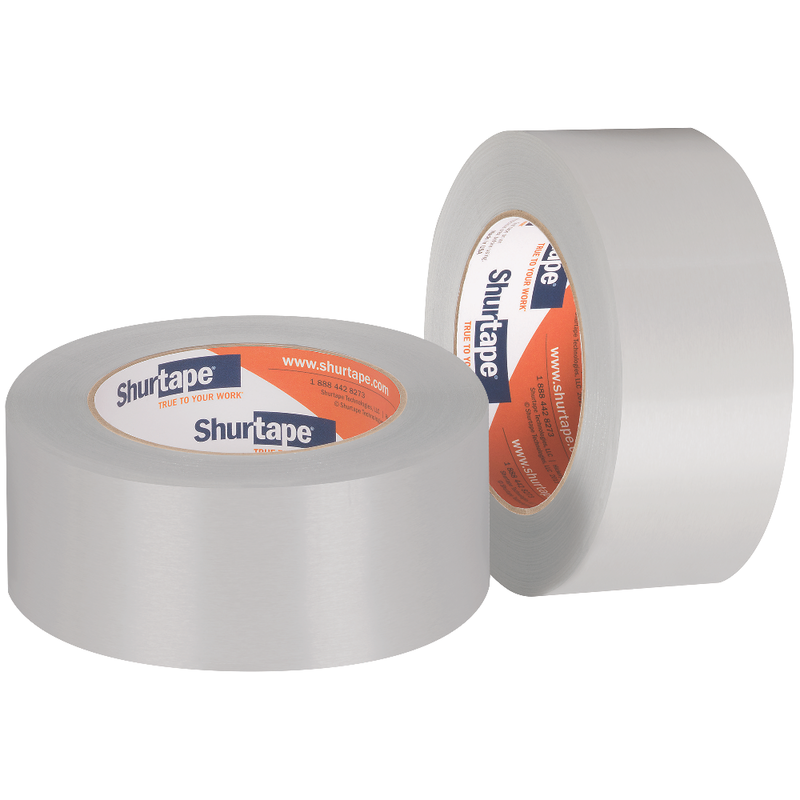 Designed to form an airtight, moisture-resistant bond on joints and seams, Shurtape aluminum foil and film tapes provide consistent quality roll after roll so your job is done right the first time. 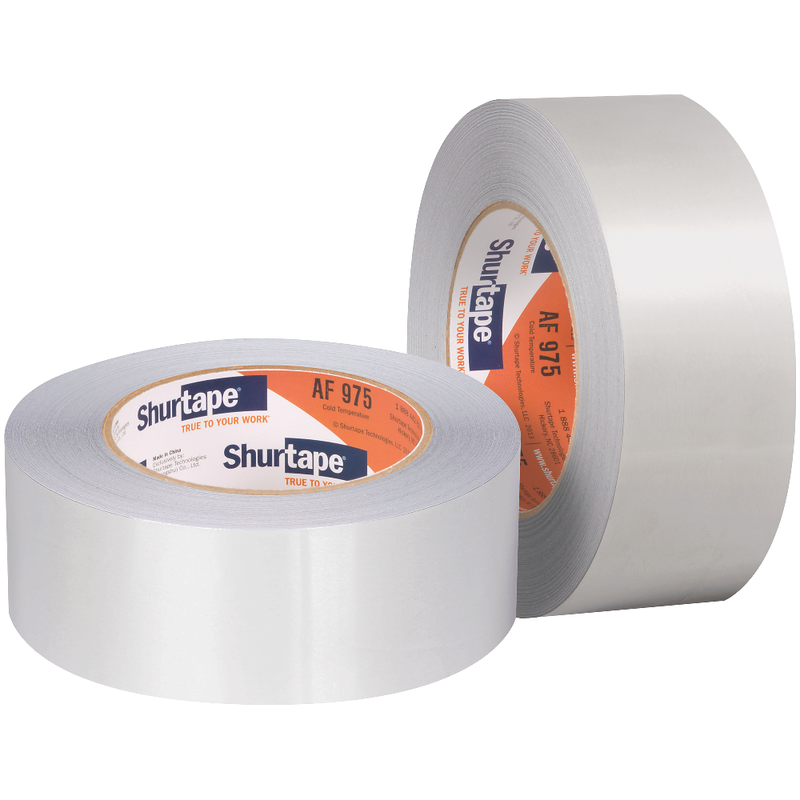 UL 181A-P/B-FX Listed aluminum foil tape featuring EasyPEEL® split liner technology for quick and hassle-free use on rigid fiberglass ductboard and flexible air duct. 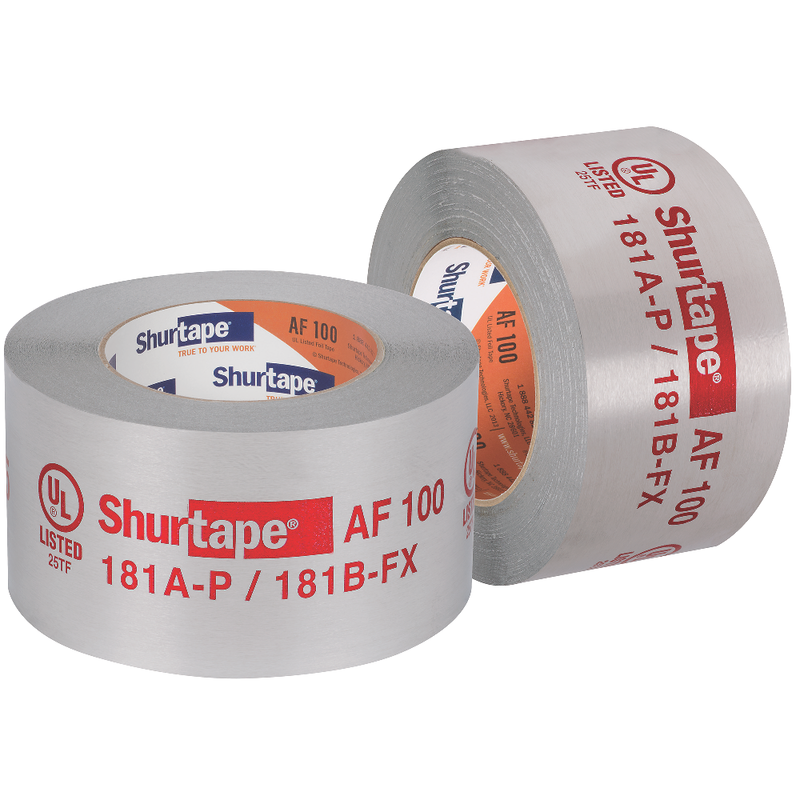 UL 181A-P/B-FX Listed aluminum foil HVAC tape featuring EasyPEEL® release liner, offering a smooth start for a fast finish. The quick, hassle-free crack and peel liner is easy to start every time off the roll, even when wearing gloves, to save you time and money, as well as eliminate the frustration of traditional liners. AF 100 with EasyPEEL is designed for joining and sealing joints, connections and seams on rigid fiberglass ductboard and flexible air duct in temperatures ranging from -20 F to 260 F and in humid conditions – and delivers the full system closure – and convenience – you demand. As a UL 181A-P listed product, AF 100E can be used in place of a mechanical fastener on rigid ductboard. UL 181A-P/B-FX Listed aluminum foil tape for use on rigid fiberglass ductboard and flexible air duct. Cold temperature aluminum foil tape for use on aluminum-backed and fibrous insulation and metal ductwork, and to repair metal and sheet metal. 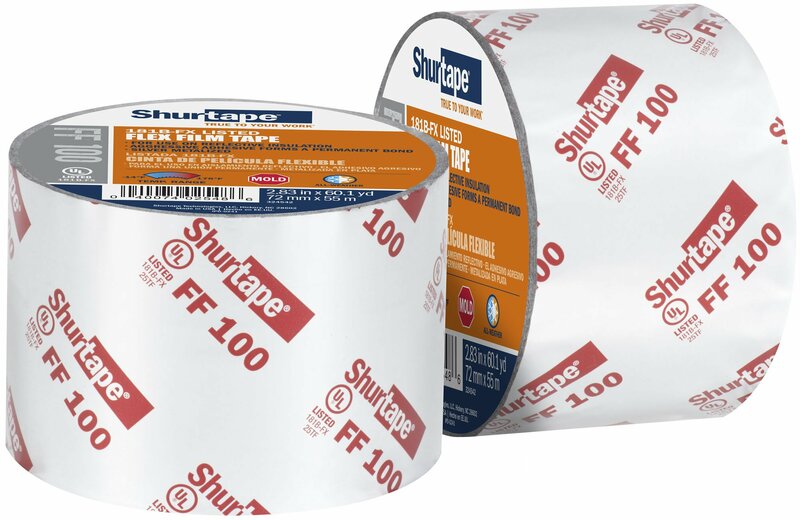 UL 181B-FX Listed and printed film tape for use on Class 1 Flex Duct in temperatures from -10 F to 210 F.
All-weather, UL 181B-FX Listed film tape designed specifically for seaming and sealing reflective insulation. 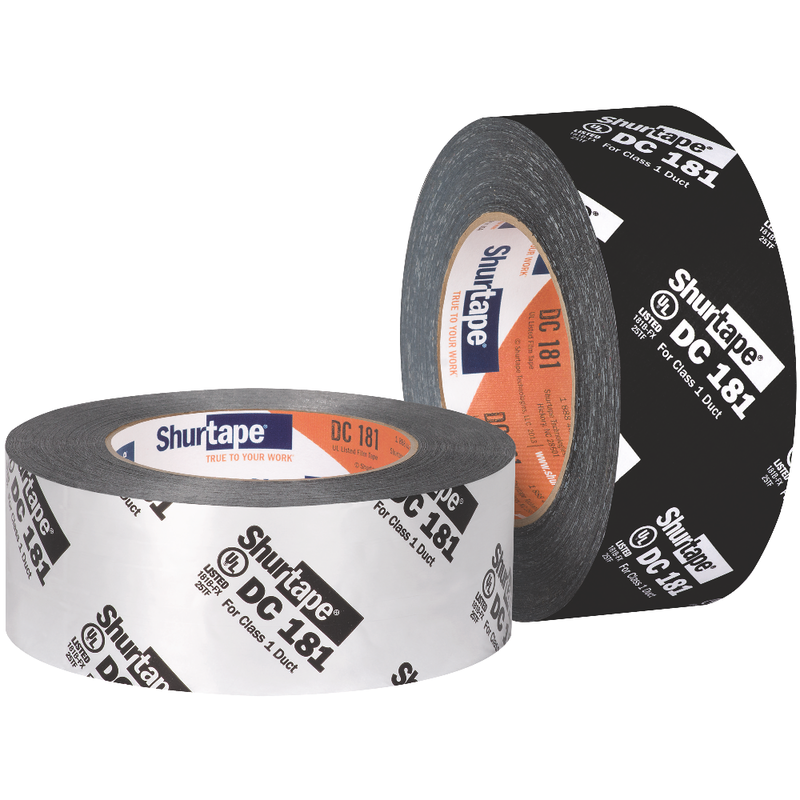 ShurMASTIC® indoor/outdoor roll mastic tape for sealing sheet metal and PVC-coated duct. 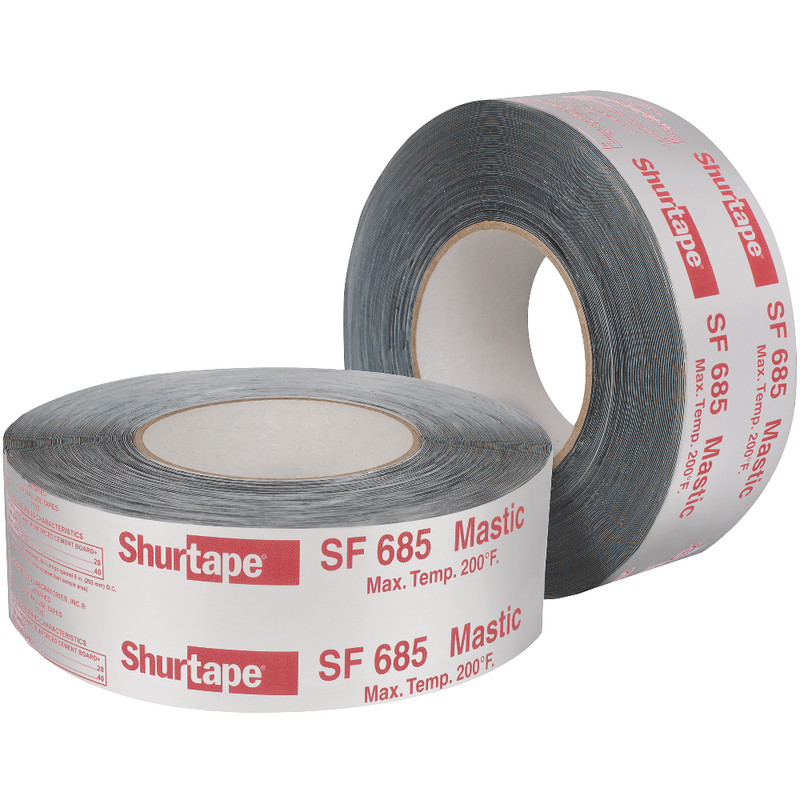 UL 181B-FX Listed and printed ShurMASTIC® indoor/outdoor roll mastic tape.